Use your all time favorite pizza dough...we prefer the one below. Although as a BUSY Mom of four littles Trader Joes prepared dough & herbed dough are TOTALLY acceptable and SUPER AMAZING! Assembly: Pizza dough (follow pizza dough directions below), top with some salsa in place of where your red sauce would be, spread fajita leftovers evenly, and then lightly top with your cheese of choice! EASY!!! Bake until golden brown and all bubbly! We also love to slide the pizza off the pan right onto the oven rack for a few minutes to get a crispier crust just at the last 5 minutes or so. Oh and if you ever grill your pizzas then this would be AMAZING too! Sadly our grill is out of commission at this time or that would be our preferred method! Enjoy!!! Let me know if you give it a shot and what you think. Our family LOVED it! I think next time I'll top it with some sliced jalapenos for a little kick! Happy cooking!!! So, I am addicted to pinterest.com. Have you been on there yet? 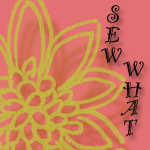 There is so much eye candy from crafts, fashion, tips, organization, to recipes and MORE! I adapted a recipe I found on pinterest last night and our family is in LOVE! The homemade Swedish meatballs are super easy to throw together and the sauce is so creamy...(I could seriously get up right now and warm myself up another bowl!!!) Also, my son had 3RDS!!! All the kids loved this recipe as well, so it was super family friendly..YAY! I sure hope you get a chance to make this, It's a keeper for sure! When my sweet Hubby find a favorite recipe he is sure to ask me to put this in our "favorites" file, and this one made it in! Btw, please forgive my photo skills, I didn't think to take a picture until last minute and snapped it with my phone. :) Happy Cooking!!! Pre heat oven to 350 degrees. In a large deep saute pan, heat oil on medium heat, add onions, celery and garlic; sauté until onions are translucent, about 4-5 minutes. Add parsley and cook until soft, about 1-2 more minutes. Let cool a few minutes. In a large bowl combine beef, egg, onion mixture, breadcrumbs, salt, pepper and allspice. Mix well and form meatballs with your hands 1/8 cup each (fill 1/4 cup then divide the meat in half). Place on greased cookie sheet & bake for 20-25 minutes or until cooked through. Place on paper towel to drain any other grease and set aside. Add beef stock to the pan and bring to a low boil; add cream cheese (cut up in chunks) and bring to a boil stirring continually until the cream cheese has melted down into the broth. In a separate little bowl put 2 Tbsp corn starch and just enough cold water to make a paste. Add to cream sauce and continue to stir while at a low boil until thickened. Taste sauce and add 1/2 tsp garlic powder & season salt to your taste. 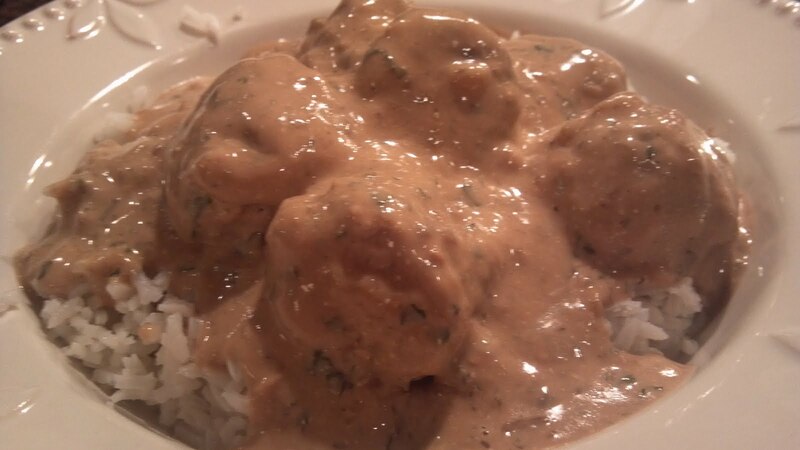 Place meatballs into the cream sauce and turn your heat down to low. Garnish with parsley and serve over rice or egg noodles or with toothpicks if you want to set these out as an appetizer. Enjoy! Mix all the ingredients well and place on to a smooth surface and knead until all incorporated and the mixture acts like play dough. Sprinkle cinnamon if you need to use it like flour when making sugar cookies. Roll out dough into 1/4 inch thick slab and cut out shapes using cookie cutters or shape like play dough. Use a straw (the McDonald's ones or that size works well) or something to make a hole for ribbon or string. Allow ornaments to dry separately on cardboard for 5-7 days. A dehydrator works well and they are ready overnight. Do not put in the oven, it cracks. Adorn with ribbon and hang. Makes great tags for a gift if you use a Sharpie. You can also use glue and glitter to give it some extra bling (decorate as you would sugar cookies)! I love using the craft glitter glue and top with initials! For those of you who have access to Winco or other bulk spice purchasing - it's a really economical little something to give at Christmas. So, when I think of Chicken & dumplings I think of the ultimate comfort food. I actually didn't grow up on it, but after I was married and after many trial and error, I've finally come up with our very own and favorite Chicken & dumpling recipe. It seems that a lot of the different recipes I have tried over the years have different ideas of what a dumpling truly is. According to Wikipedia, Dumplings are cooked balls of dough. Some of the recipes I have had "dumplings" in the name but were more like thick noodles. This dumpling recipe below is an actual Mennonite recipe and we have loved it! They ARE little clouds of heaven floating around in golden broth. Mmmmm.... :) I hope you love this recipe as much as we do! -Boil chicken breasts, seasonings, & bullion in 6-8 cups water. Remove chicken when cooked through reserving cooking liquid in pot. Shred chicken and add back to pot. Saute’ celery, onion, carrots, & bay leaf in 2 tbsp oil/2 tbsp butter mix with lid on, stirring and cooking through until veggies are soft. Add cream to soup pot along with sauteed veggies, taste to be sure seasonings are to your liking, adjust as needed. Bring soup to a boil, then turn down and simmer for 15-20 minutes; prepare dumplings (directions below) and drop into low boiling soup by spoonful’s. Turn down to med-low or low boil and cover for 18 minutes to cook dumplings. Remove bay leafs, serve & Enjoy! Sift first 4 ingredients into bowl, then mix in dried parsley, then combine remaining ingredients and stir in quickly with a wooden spoon until smooth. Drop by spoon evenly around boiling soup. Cover tightly and simmer 18 minutes until done…no peeking, keep the lid on! YUM!!! Hola amigos!!! Mexican dishes must be one of my absolute FAVES. I would always have taco/burrito night and buy a few cans of refried beans to go along with the meal. I have tried my hand with dried beans before with little to no luck. They never seemed to work out for me, but when I saw this EASY slow cooker recipe for refired beans I figured why not!? Let me tell you, these we full proof! They were so simple and sooooo satisfying. 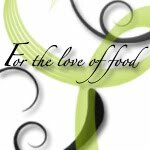 I LOVE knowing exactly what went into my food and they really taste incredible! I hope you take the time to give this a try. I have made this MANY times since then and I'm never buying canned refried beans again! 2. Cook on high for 7- 8 hours. Drain the excess liquid & reserve. 3. Using the immersion blender, add back liquid a little at a time and blend until you reach your desired consistency. Be sure to taste and add more cumin, salt or pepper to your taste! That's it! Easy peasy slow cooker refried beans....they are AMAZING!!! If you don't own an immersion blender you can always use a potato masher or regular blender to break down your beans. These immersion blenders are pretty amazing though, I use mine to make, baby food, smoothies, Homemade tomato basil soup, cheddar broccoli and many more as well! :) Enjoy!!! ﻿A sweet friend loaned me her Pioneer Woman Cookbook (Which I NEED to give back hehehe) and I found this delicious recipe and LOVE IT! It's perfect because I can put it together earlier in the day, and then just pop it in the oven about 45 minutes before my Hubby gets home & there's dinner. The boys devoured this up and I really liked it as well. This would also be a wonderful meal to take to someone in need. :) PW's recipe is all from scratch and starts with a whole fryer chicken that you boil and simmer for 25 minutes. With 3 kids under 3 1/2 there are just times I can't be in the kitchen for that long...it's just the season I am in. I have to nurse, clean and change a million diapers in there some where too! :) So I hope you like my easy spin off of her amazing recipe! If you DO have the time to make it her way then GO FOR IT!!! It will taste amazing! Pre heat oven to 350 degrees. Bring a pot of salted water to boil; break spaghetti noodles in half and add spaghetti noodles to pot. boil for 8 minutes. Drain spaghetti and your jar of pimientos and set aside. Then finely dice the onion and bell pepper. Heat a medium pan on the stove with 2 tsp of olive oil; saute the onion and bell pepper till soft, but not translucent. (They will still cook more in the oven) Set aside. In a large bowl place the cooked spaghetti noodles, cream of mushroom soup, 2 cups of cheddar cheese, the sauteed onion, bell pepper, drained pimientos, and seasonings. Finally add the chicken and chicken broth; stir together well, taste to check the seasonings. If you like more spice add more cayenne pepper! Pour the mixture into a 9 x 13 baking dish; top with the remaining 1/2 cup cheddar cheese. Bake for 35-45 minutes, until bubbly. ENJOY! 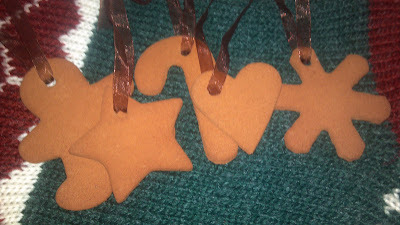 December: Make homemade Cinnamon Ornaments with the boys & hang them on the tree! February: Learn how to make a digital photo book online through this company! April: Learn how to sew my daughter a piece of clothing...this is what I had in mind! 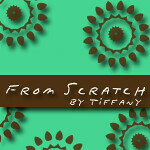 May: Learn to makeTiffany's Homemade Fresh Tortillas with all the works for Cinco De Mayo!!! June: Learn to make my own laundry detergent using Mrs. Duggar's recipe! August: Implement a morning devotion for the kids...I liked this Read & Share DVD Bible! 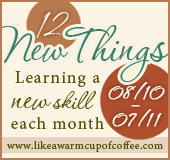 September: Taking a cooking class with my Hubby or a friend at Sur La Table or Hipcooks and learn some new techniques! November: Learn to sew my birthday girl a black apple doll! 1Corinthians 10:31 "So whether you eat or drink, or whatever you do, do all to the glory of God."